The date for Roy Wood's Rockmas 2019 has been set for Saturday 14th December with tickets already on sale for Dr. Wood's annual festive spectacular which will again be held in Birmingham's iconic Symphony Hall. A weekend slot in mid-December makes Rockmas 2019 all the more attractive and likely to follow Rockmas 2018 in packing out the 2,262 capacity venue. Woody's special guests will undoubtedly be announced soon. 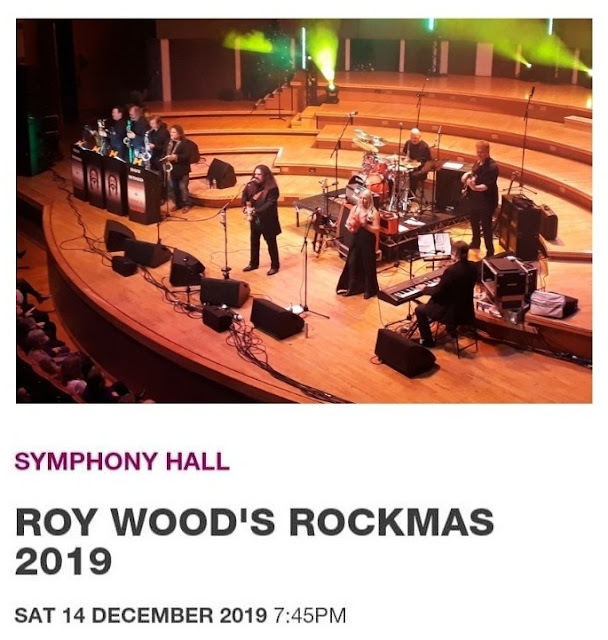 elobeatlesforever (elobf) recommends Roy Wood's Rockmas 2019 to those enlightened folks who enjoy the music of ELO, Jeff Lynne, Roy Wood, Wizzard, The Move, The Idle Race, 'Brum Beat', The Beatles and related artistes. See you there?